Thank you for great customer service, it is much appreciated. 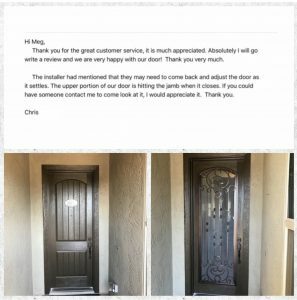 Absolutely I will go write a review and we are very happy with our door. Thank you very much.